The Pennsylvania Department of Labor & Industry (“DLI”) has updated its workers’ compensation rate calculation chart for 2019, based on the updated Statewide Average Weekly Wage (SAWW). The Pennsylvania DLI determines the maximum compensation payable under the Workers’ Compensation Act using the Statewide Average Weekly Wage. For injuries occurring after January 1, 2019, the maximum rate will be $1,049 per week, up from $1,025 per week in 2018. Rates below the maximum are between two-thirds and 90 percent of the injured workers’ average pre-injury wage. For purposes of calculating the update to payments for medical treatment rendered on and after Jan. 1, 2019, the percentage increase in the Statewide Average Weekly Wage is 2.3 percent. Click here to see the schedules for the 2019 workers’ compensation rates. To arrive at the bottom line, the DLI uses the wages earned by the injured worker in the year prior to the work-related injury. This year is divided into four quarters and an average is taken of the highest three quarters, resulting in the Average Weekly Wage (AWW). Generally, the rate of workers’ compensation paid is usually 2/3 of the AWW, but this may vary. The weekly compensation rate is 66 2/3 percent of the employee’s AWW if the average weekly wage falls between $1,573.50 and $786.76. A weekly compensation rate of $524.50 results if the employee’s AWW is between $786.75 and $582.78. A worker receives 90 percent of her AWW if the average weekly wage rate is $582.77 or less. It is important to determine what work-related income is considered when the AWW is calculated. Another job (concurrent employment), overtime and most bonuses are included in this calculation. However, fringe benefits and self-employment earnings are not considered when determining the AWW. 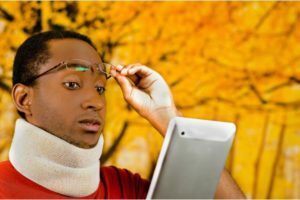 Correctly calculating an injured worker’s compensation rate is both a complicated and critical undertaking. An incorrect calculation may lead to costly litigation, penalties, even the disallowance of a claim under some circumstances. In 1906, James Powell, Sr. founded Powell Law. Since then, our attorneys have litigated workers’ compensation cases involving all types of workplace injuries. Our body of knowledge and expertise clearly provides our clients with a unique, distinct and incomparable advantage. Powell Law has an established 113-year-old reputation throughout northeastern Pennsylvania for advocating on behalf of injured workers and securing them compensation benefits. Contact Powell Law at call (570) 961-0777. The consultation is FREE.